Energy Poverty | noun, often attributive | ˈenərjē ˈpävərdē | is lack of access to modern energy services. It refers to the situation of a large number of people in developing countries whose well-being is negatively affected by very low consumption of energy, use of dirty or polluting fuels, and excessive time spent collecting fuel to meet basic needs. There are currently 1.2 billion people without access to electricity and more than 2.7 billion people are without clean cooking facilities. These are real and extremely large numbers. Yet most people in the developed world only take notice to the invisible and fundamental lifeline of our modern society when the power goes out and they can’t Netflix and chill. Since you’re reading this blog post, I’m assuming you reside in an area on this planet with reliable and safe access to energy – now imagine you didn’t. What if you had to use polluting kerosene burners inside your home to cook your meals? What if you were afraid to walk around at night because there were no street lights and you didn’t have access to electricity to charge a lamp or flashlight? Despite these scenarios being a reality for those billions of individuals who suffer from energy poverty, there are innovative organizations, large and small, that are taking action and developing innovative solutions to address energy poverty. A key piece of this puzzle is financing; especially the financing of local startup companies that have experience on the ground and truly understand the current reality, and how to add value so that individuals and communities gain a better sense of wellbeing. Forward thinking, locally-based Venture Capital (VC) firms are tackling this issue head on and they are constantly looking for local start-ups with enabling solutions to partner with; in turn providing experience and funding to help the startup grow so they can provide their solutions on a larger scale and empower more local communities. A fantastic example that I witnessed first hand in Nairobi this past October is the unique partnership between Energy Access Ventures (EAV) and SunCulture. 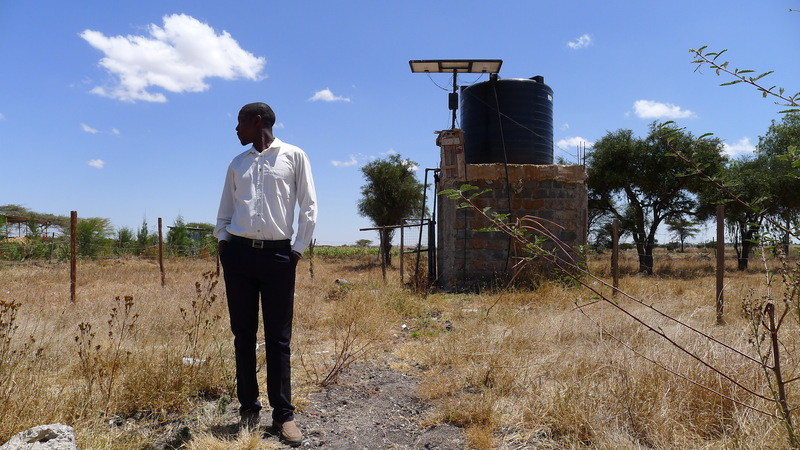 This innovative, homegrown Kenyan start up provides solar powered irrigation solutions for smallholder farmers, in turn helping the them improve both crop yields and quality. As business evolved, SunCulture needed more capital to keep up with demand so it approached EAV and they formed a partnership. Moses looks on with his solar array and water storage tank in the background. Despite Kenya having 5.4 million hectares of arable land, only 17% of this land is suitable for rain fed agriculture; leaving the remainder in need of irrigation and pumping technology. 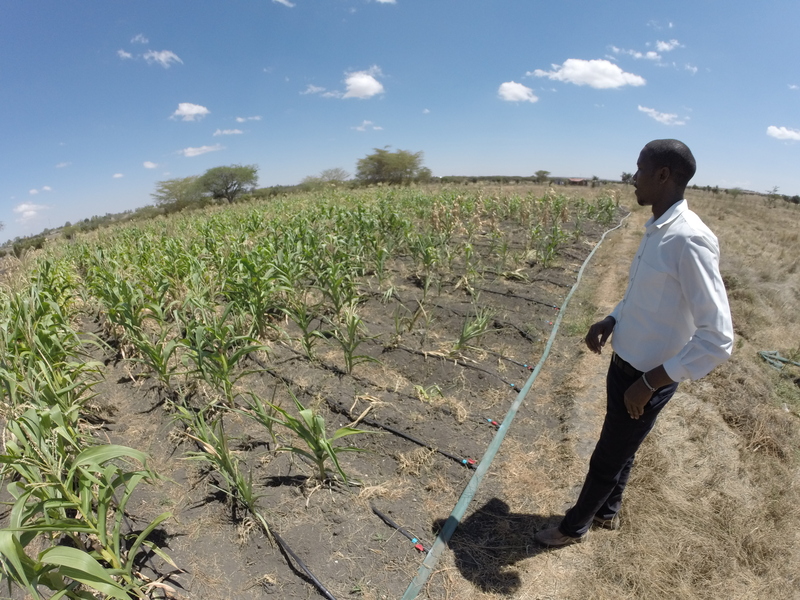 High input costs and labor inefficiencies make solar powered pumps and irrigation systems a viable and cost effective solution to enable the remaining 83%. While in Nairobi I visited Moses, a farmer in the town of Isinya who had a solar powered irrigation system installed earlier this year in April. He has three 100 watt solar panels powering his system which needs to pump water from his 50 meter deep well. When the sun is shining, the panels power the pump to lift the water out of the well and into an elevated tank for storage. Depending on the crops Moses is currently tending to on his 1.5 acre farm – which is primarily spinach and cabbage – he can control the flow of water to ensure the crops get what they need, when they need it. Moses employs several individuals to help maintain and operate his farm and he uses his proceeds to support his wife and three young children. The crops also support his community by providing produce to sell at local markets. Plus, all the extra water that is pumped into the storage tank is shared with his neighbors to use for domestic purposes like cleaning dishes and laundry. All in, this one farmer directly impacts a dozen or so people’s lives for the better. The situation is the result of a pioneering local startup that saw a regional problem and took an innovative approach to solving it with the support of forward thinking investors. Moses heard about SunCulture via Facebook and within a year has become a true ambassador for the solar powered solution, even recommending it to others in the area. He plans to expand his farm once he gets 2-3 seasons of profit available.